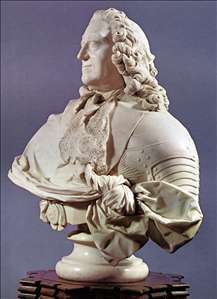 French-born sculptor, active in England for virtually his entire career. Little is known of his life before he settled in London in the early 1730s, although he is said to have trained under Balthasar Permoser in Saxony and Nicolas Coustou in Paris. 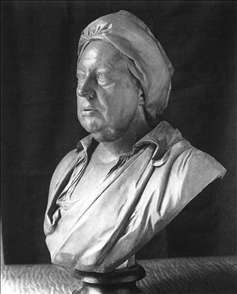 He made his reputation with a full-length seated statue of the composer Handel (Victoria and Albert Museum, London, 1738), remarkable for its lively informality, and quickly became recognized as the most brilliant portrait sculptor of the day. His busts have great vivacity, stressing small forms and rippling movement in a manner very different from the broader treatment of his contemporary Michael Rysbrack. 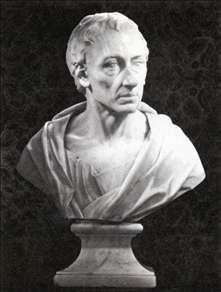 He was especially successful with portraits of old and ugly men, and in his series of busts at Trinity College, Cambridge, and the celebrated statue of Newton (1755) there, he showed a remarkable gift for producing lively portraits of men long dead. Roubiliac was also outstanding as a tomb sculptor, several notable examples being in Westminster Abbey, including the marvellously dramatic tomb of Lady Elizabeth Nightingale (1761), who is shown being attacked with a spear by Death (a hideous skeleton emerging from a vault), while her husband vainly tries to keep him at bay (the skeleton was carved by Roubiliac s assistant Nicolas Read, c. 1733-87). 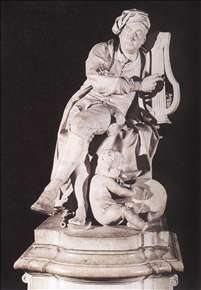 The Nightingale monument clearly shows the influence of Bernini, whose work so impressed Roubiliac when he visited Rome in 1752; he said that compared to Bernini s his own sculptures looked meagre and and starved, as if made of nothing but tobacco pipes . 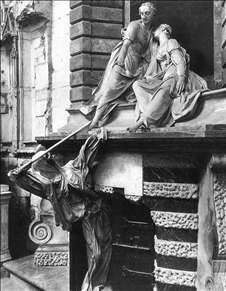 Roubiliac is generally regarded as one of the greatest sculptors ever to work in England, certainly the greatest of his period. He had a vivid imagination and he was a superb craftman. See more details about "Bust of Alexander Pope"
See more details about "Bust of John Belchier"
See more details about "George II King of England"
See more details about "George Frideric Handel"
See more details about "Tomb of Sir Joseph and Lady Elizabeth Nightingale"